A successful home purchase or sale nearly always starts with a good agent or broker. Real estate is a complex and continually changing business, and Windsor agents and brokers are trained and educated in its many rules, regulations and standards. They have the inside scoop on different Windsor, CT neighborhoods and areas and know what constitutes a fair price in the market. Hiring a pro in Windsor, CT also means you won’t have to deal directly with the prospective buyers or sellers, which may save you some tension. 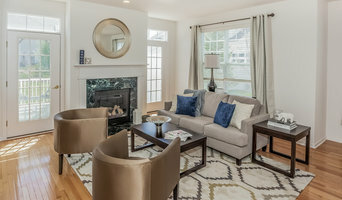 Sinatro Real Estate, Staging and Design, LLC is a full service firm, available to assist its clients in all aspects of their home, including selling and buying, home staging and decor. Sinatro R.E.S.D combines a deep knowledge of real estate and marketing with a keen sense of design to ensure the most favorable outcome. This professional and unique approach makes makes Sinatro Real Estate, Staging and Design the provider of choice. Meg Toro is a top producing realtor working with William Raveis Real Estate, one of the largest family owned Real Estate companies in the northeast. Individual Attention with Total Team Support! Worcester County, MA. Real Estate: Consulting - buyers and sellers - Relocation - referrals. As a Fairfield County native, I enjoy sharing my knowledge of local communities with my buyers and sellers an take particular pride in finding the right fit. I have been licensed in CT for 40 years and NY for 30. I keep pace with the ever-changing industry through ongoing education in both business and real estate. However, it is my vast experience that serves my clients best. My family settled in New Canaan, CT during the 1700s and there they stayed. I was born and raised there, so I am a Nutmegger from Day One, leaving the state briefly for a stint in the Navy where I was a crewman on the Enterprise. Following my tour of duty, I worked at Sikorsky Aircraft as Lead Electronics Technician on Marine One for then President Reagan. Kent became my home in 1994. The miles of hiking trails, multitudes of streams and tributaries for fishing, and the sheer serenity and beauty of the area have me convinced that the Northwest Corner of Connecticut is one of the greatest places on the planet. I am a business owner in town with two shops, Backcountry Outfitters and Annie Bananie Ice Cream. I am currently Vice President of the Kent Chamber of Commerce and I sit on the Board of Directors of the New Canaan Cemetery Association. I am also the resident go-to fix-it guy at home and so far there hasn’t been much I haven’t been able to remedy. The knowledge I have of the Northwest Corner, basic home construction and landscape are what made me decide to join Bain Real Estate as a real estate professional. Give me a call, I look forward to working with you! Jillian Klaff Homes is the #3 Top Producing Team WRRE Company wide. My achievements include: Top producer for the past 11 years, National Award Top 1/2 of 1%, Platinum Star and Chairman’s Elite Club member, and William Raveis Real Estate Sales Vice President. I have been a resident of Westport for 18 years and have served on numerous boards and committees.